During the research stage of making his short film, "The Anniversary", director Ham Tran realized two things: that no movie had ever been made that talked about Vietnam’s boat people experience, and that no film had ever been made about Vietnam’s re-education camps. For most of the world, the history of Vietnam ended when the Americans left in 1975. But Tran kept hearing stories that were begging to be told. "My aunt, who sponsored us to America, she was a boat person." he says. "She left on this boat and then had chicken pox, so they were about to throw her over because they were afraid that chicken pox might spread and get everybody on board sick. They were all set to throw her over the next morning. Then, in the middle of the night, they were attacked by pirates and because she had chicken pox, the pirates didn’t want to go near her, and the next morning they were rescued. These unbelievable stories about human endurance and suffering are all within our community. My dad had a friend who kept him out of the war. He was a high-ranking officer in the South Vietnamese Army and he knew that my dad had a family and so he got him assigned as his driver whenever he came to Saigon. My dad was basically on call and it kept him off the front lines. After the war, my dad’s friend was put in a re-education camp for 16 years. He came to the US in the 90’s as part of the HO Act and he’s visited my father a few times. They just sit at the table together and don’t say a word." 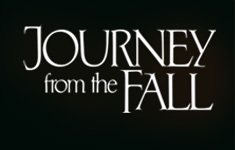 Tran started writing Journey From The Fall in 2001 and he spent three years researching and refining his script. In 2004 it was ready, and at the same time "The Anniversary" was short-listed for an Academy Award. Several investors and producers met with Tran, one of whom became the associate producer, Truc Ho. A producer of Vietnamese variety shows, he took the script and began trying to raise money from the Vietnamese-American business community. Then, at the Vietnamese International Film Festival, Alan Ford saw "The Anniversary" and asked Tran and his producer, Lam Nguyen, what they needed. They told him and he wrote them a $30,000 check on the spot. Using the money to put together a pitch book and to animate a pitch trailer, with the support of lead actors Kieu Chinh, Long Nguyen and Khanh Doan, they were able to raise their entire budget of $1.6 million from within the Vietnamese-American community. Some of the investors wound up using psuedonyms to protect their identities because they still do business in Vietnam and they knew that this movie would not make the current government there happy. The people who gave their money and time to Journey From The Fall are the people whose stories it tells. Producer Lam Nguyen’s father was killed in a re-education camp, and to this day his family does not know where he was buried. Many people in the cast were either in re-education camps, or their parents were, and some of the crew cannot be credited by their real names because they fear repercussions. The movie also closely mirrors the life of producer Allan Ford, whose father was imprisoned in a re-education camp for 13 years, while Ford and his mother fled Vietnam as boat people. Trying to be as authentic as possible, Tran carefully researched his movie, even visiting the site of a re-education camp in Vietnam with his production designer, Tommy Twoson (not his real name). Twoson had located a camp in Northern Vietnam and the two went. "There was nothing there anymore," Tran remembers. "No trace of it. It’s just jungle now." Casting was particularly difficult, and Tran and Nguyen visited dozens of Veteran and Vietnamese American groups, holding open auditions. Originally cast in the pivotal role of Long Nguyen was actor Khanh Doan, who was perfect for the part except for the fact that he was too healthy. Tran asked him to lose 20 pounds before the shoot began, but three days before shooting was to begin in Thailand, Doan showed up having lost only five. Costume designer Bao Tranchi pushed for Tran to re-cast the role with Long Nguyen, who was currently cast in a smaller part. He wasn’t supposed to be in Thailand for another week," Tran says. "His wife was pregnant with their second child, but we called saying we want you to play the lead but you have to be here tomorrow. He said he had to talk to his wife, and then said ‘I’ll put you on the phone with her and if you can convince her I’ll do it.’ So he put her on the phone and we begged. We convinced her and he got on the next flight out." Nguyen showed up and shot for two weeks. Then he flew back to California for his child’s birth, before flying back to Thailand to finish his scenes. The production of the film lasted for a year, and by the time it was finished Tran was exhausted but proud especially of the reaction in the Vietnamese community. Originally he and Lam Nguyen had planned for the final film to be released on April 30, 2005, the 30th Anniversary of the Fall of Saigon. Instead they wound up screening only a rough cut of the movie on that date. However, those three sold-out screenings attended only by Vietnamese-Americans grossed $20,000 alone. Tran says, "People in the community come up to me and thank us for making this movie. Some people have gotten up after screenings and said ‘My camp was worse than you portrayed it.’ Others have said ‘My camp was better,’ but the boat people have said that’s exactly how it was. Some audience members have started talking to their parents for the first time about their experiences as boat people. For years I watched Hollywood tell their version of the Vietnam War, where Vietnamese people are faceless, nameless background objects instead of living, breathing, three-dimensional people whose lives were torn apart by war. No American film has ever been made about these struggles and sacrifices. My question was always: why not?"